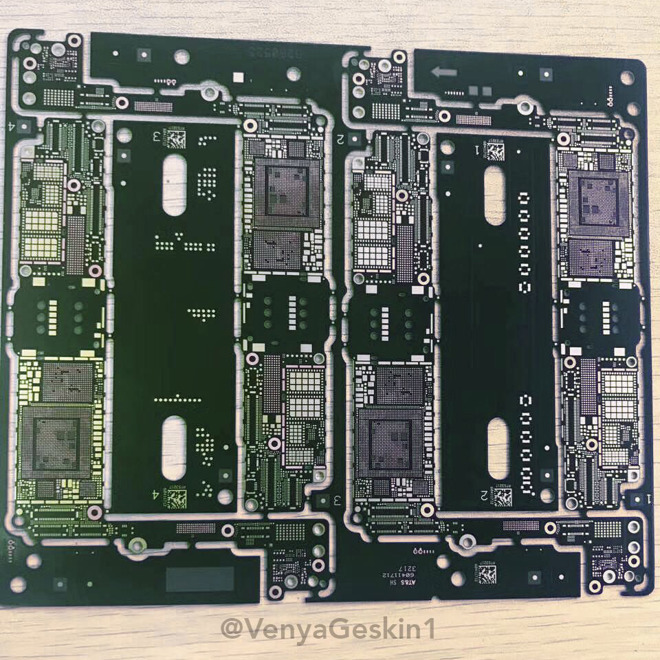 A new photo purports to show logic boards intended for Apple's "iPhone 7s," a product that has seen far fewer leaks than the company's flagship "iPhone 8." The boards —shared by well-known leak source Benjamin Geskin —resemble designs Apple has used in the past. 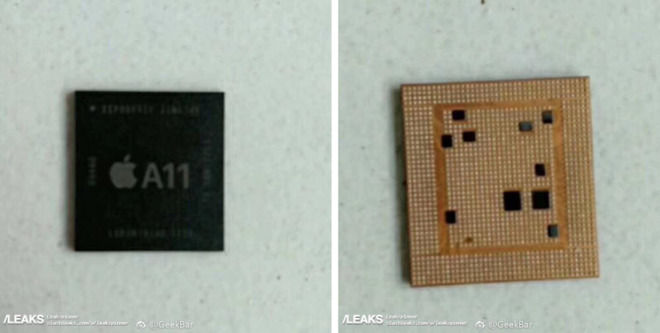 There are no immediate clues that they're for the "iPhone 7s," though Geskin observed that markings where the processor would be match the back of a supposed "A11" processor recently leaked by GeekBar. Apple is likely in full-scale production of the "iPhone 7s," as well as a "7s Plus." The phones are expected to have 4.7- and 5.5-inch LCDs, like the iPhone 7 line, but include some enhancements from the "iPhone 8," such as the "A11" and wireless charging. The "8" should differ with an edge-to-edge, 5.8-inch OLED screen, and 3D facial recognition replacing Touch ID, since Apple has also swapped a physical home button with a virtual control area. The company was at one point rumored to have tried embedding Touch ID into the display, but appears to have been unsuccessful. Indeed the phone may not go into mass production until mid-September. If Apple launches all three phones the same month, that could mean that while the "7s" and "7s Plus" will be widely available, the "8" will be extremely scarce, likely through the rest of the year.